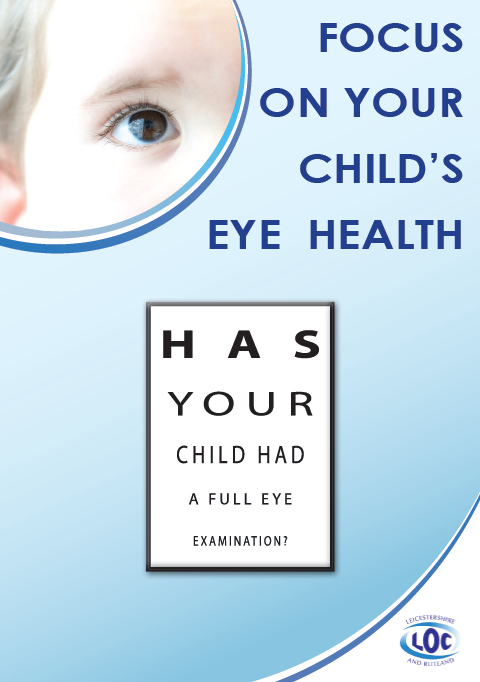 You may be unaware that Vision Tests are no longer undertaken by Health Visitors or School Nurses for primary aged children. 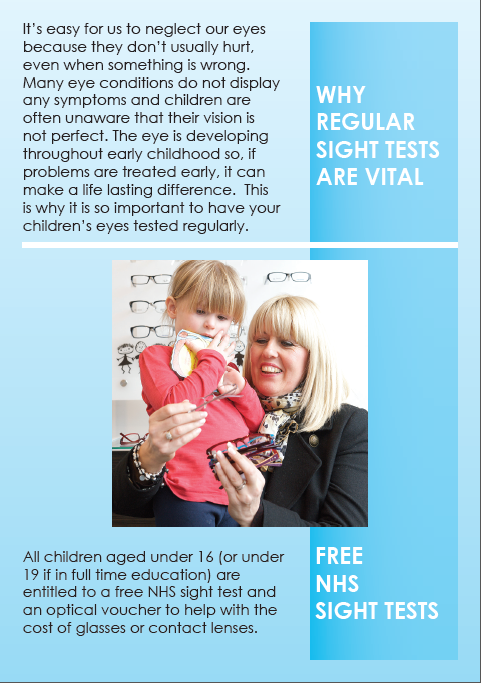 This being the case, Leicestershire Optical Committee are keen to encourage parents and carers to take their children to the Opticians where they can have a FREE NHS EYE TEST. 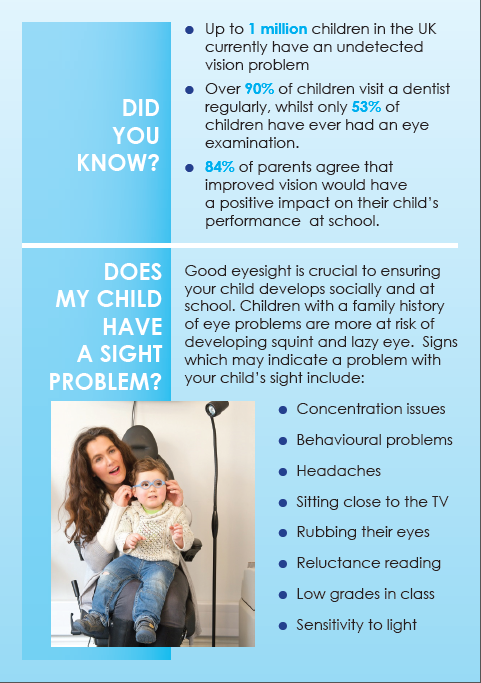 It is important that those children with undetected vision problems are picked up as early as possible to avoid longer term issues. 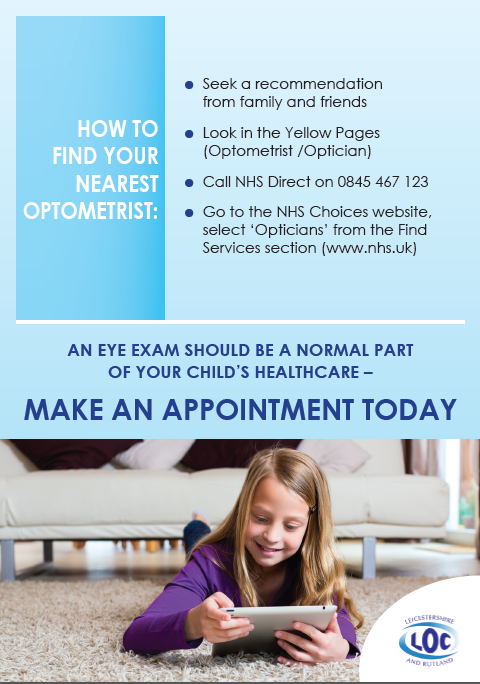 See the information below and book a test for your child.